Have you been thinking about remodeling your kitchen in Ford Plantation Richmond Hill? Now is a great time to call American Craftsman Renovations and discuss your ideas with us. We work with homeowners across Greater Savannah to help them breathe new life into their home. Our expert general contractor has many years of experience in the industry and will work with you one on one to come up with the design for your new space. Whether you have recently purchased property in Ford Plantation in Richmond Hill or simply looking to enhance your home with a new kitchen, your local general contractor in Savannah Georgia, American Craftsman Renovations can help you accomplish your goals. 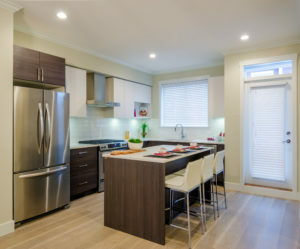 We can help make light enhancements to your kitchen such as painting your cabinets, walls, and installing new appliances. However, we can also completely reconfigure your space, creating the kitchen you have always wanted.